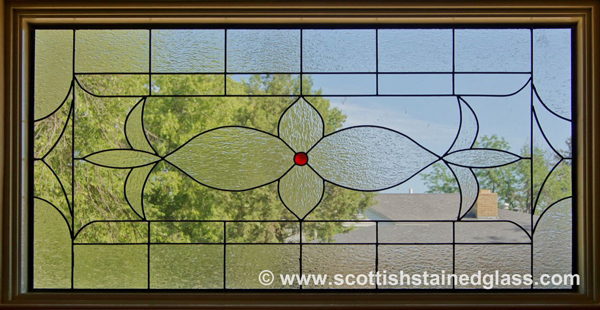 Transoms are windows that sit higher than a normal window. 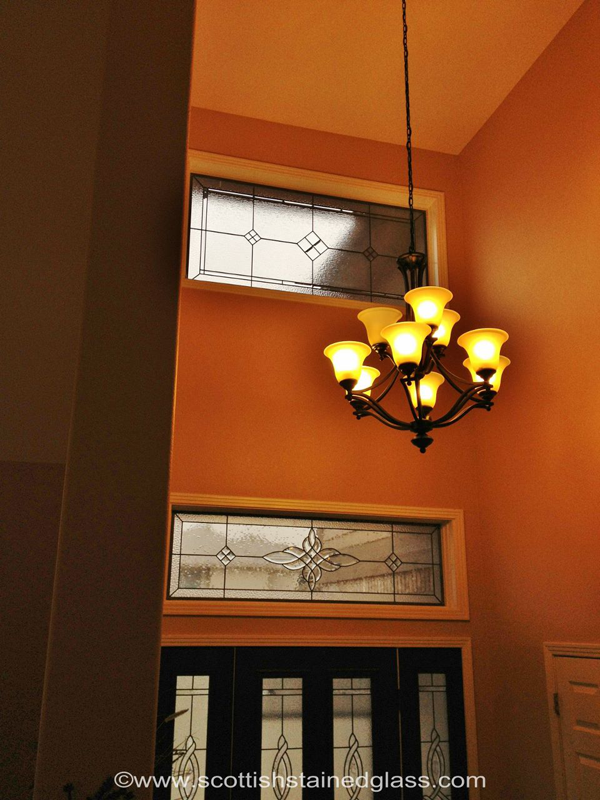 These are typically found above doors or above regular height windows, and sometimes are found even higher in homes with vaulted ceilings. 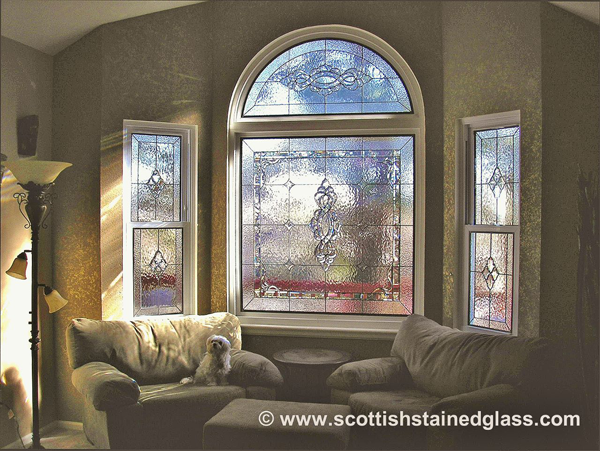 These windows are beautiful, and let in a great deal of natural light to any space in a home. 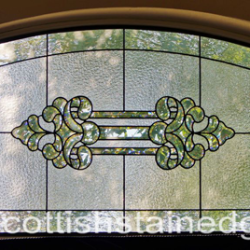 Still, they are often oddly shaped windows, and can be difficult to find coverings for. 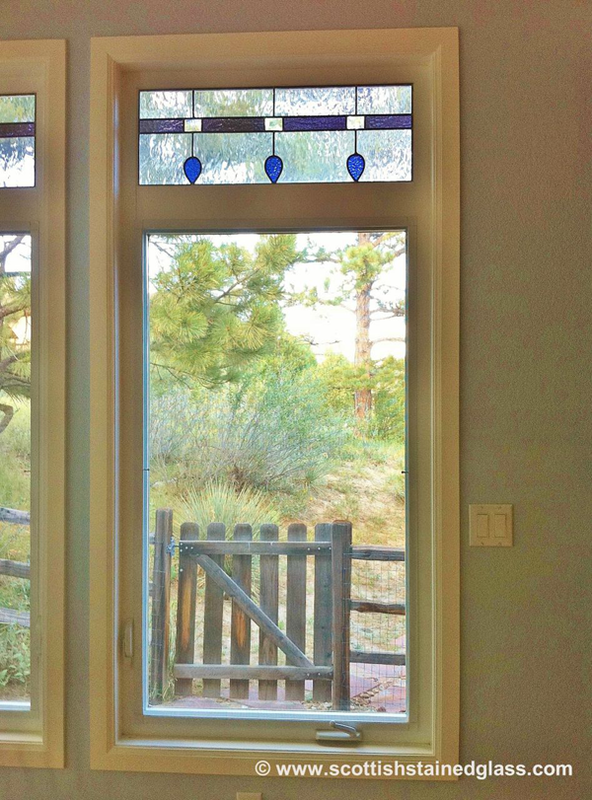 If you live near a neighboring house or building, privacy can actually become an issue here as well. 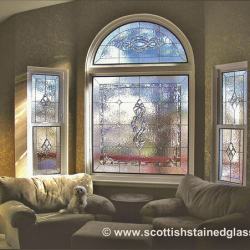 Even still, some homeowners find the natural light to be too intense, and need something to diffuse the light from these windows. 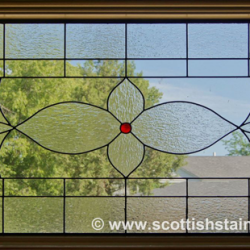 Stained glass windows are the perfect solution for your transoms throughout your home! 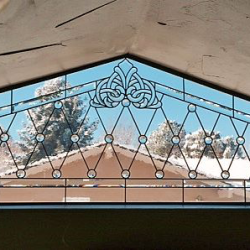 You won’t have to worry about finding a window covering that actually fits on these oddly shaped windows either, as everything that we create is completely custom. 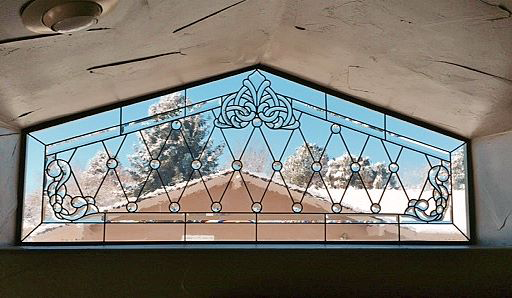 If privacy is an issue with your transom windows, let our designers show you the options for textured glass that will block out vision, but can still let the natural light shine through into your home. 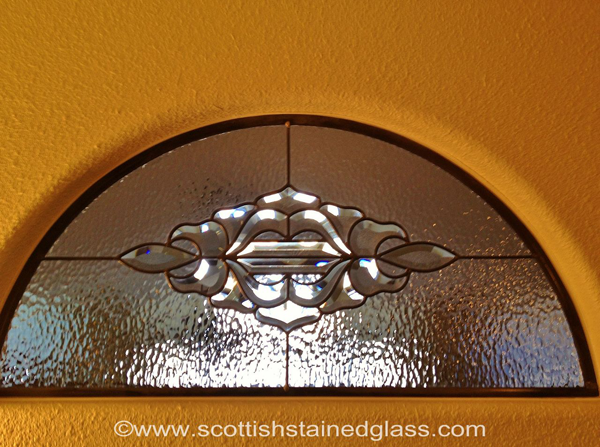 These glass options are beautiful as well, so you won’t have to settle for anything that you don’t completely love. 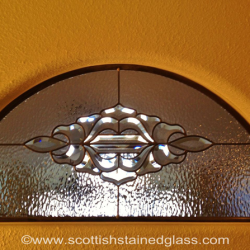 Our process begins with an in-home consultation with one of our designers. 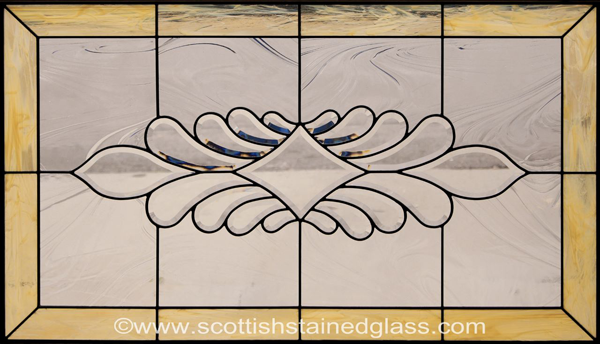 We will take this time to really get to know what’s important to you for your design, and we always carry hundreds of photos and glass samples to help you make a decision that you’ll love. 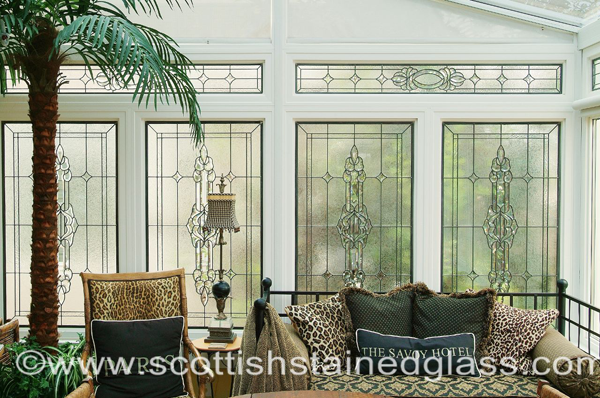 Your designer will actually sketch out a couple of options for your window, and price out several designs for you. 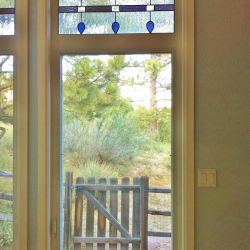 If your transom window is above your entryway door, consider creating a completely new entryway that opens your home in a unique, beautiful form. 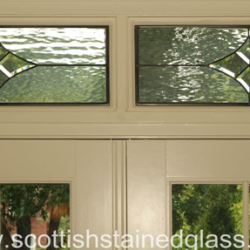 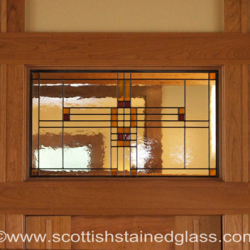 We can design matching transoms, sidelights, and even door glass to create a stunning look! 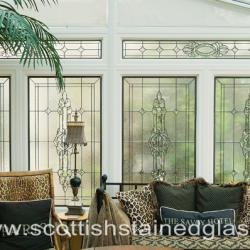 Since each window is built to order for every client, size and shape requirements are always possible, even with oddly shaped windows, like hallway windows. 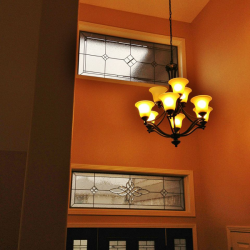 If you have a transom window that needs a makeover in your Kansas City home, don’t hesitate to give us a call today for more information. 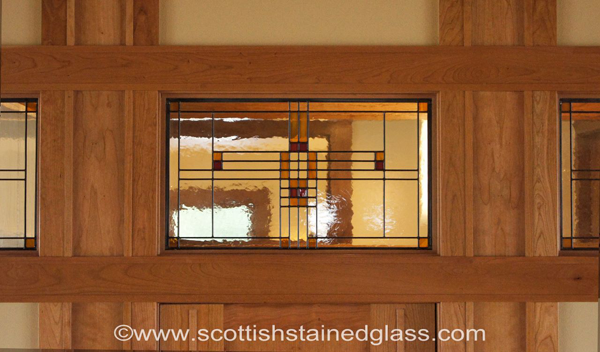 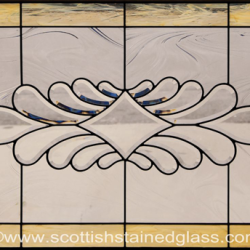 We are happy to answer any questions that you have about our products and process, and ask us today about scheduling your in-home consultation to get your own custom transom stained glass windows as soon as possible!